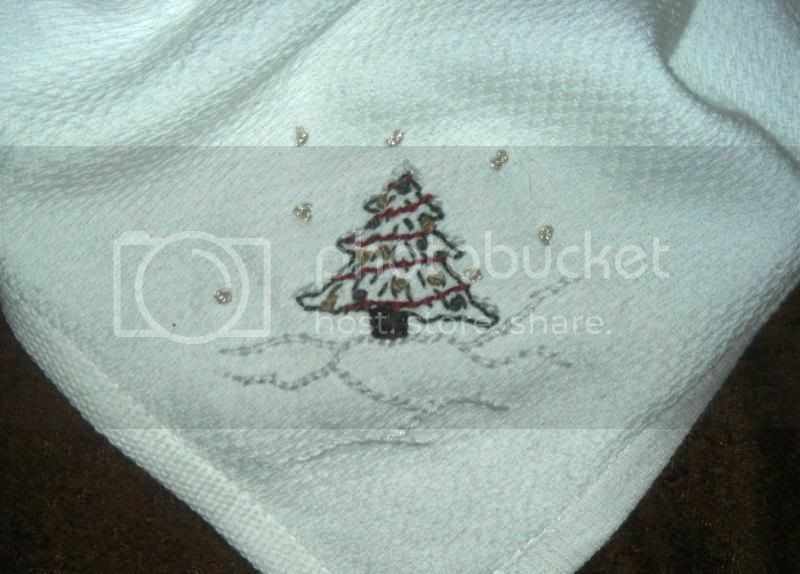 Craftster Community > NEEDLEWORK > Needlework: Completed Projects (Moderator: kittykill) > Baby's first moustache & a X-mas tree- NEWBIE alert! Baby's first moustache & a X-mas tree- NEWBIE alert! Sooo.... I was so inspired by the BEAUTIFUL things you all have posted here, that I decided I had to try embroidery! Off to Michael's I went, and a couple days of practicing later here are the "finished" pieces I have! Here's a little baby t I would have gifted to a really awesome lady I know (or rather her son) but I didn't find out about the stabilizer stuff until researching why this looks funny... oops! Re: Baby's first moustache & a X-mas tree- NEWBIE alert! Awww love the baby t!!! Too cute!! The towel is very pretty! Baby onesies from the store can be so cheesy and cliche.. 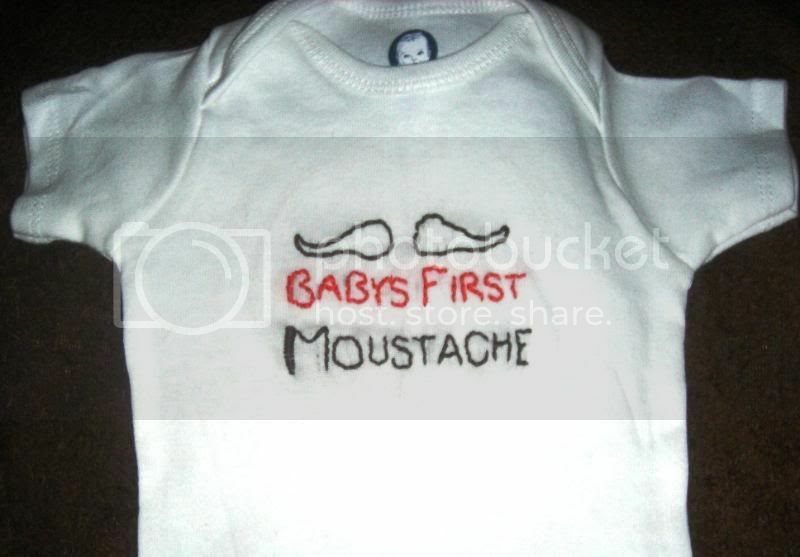 I LOVE the baby's first mustache idea! I really like the Christmas tree. you did an amazing job without stabilizer! Looks great. You could hand wash the onsie and lie flat to dry, then iron with lots of steam. That could take care of some of the stitches. However, I think you did an amazing job. Working on a far better project- will post as soon as it's done (best thing? No need for stabilizer or interfacing or anything- it's already all there!!) woooo! !